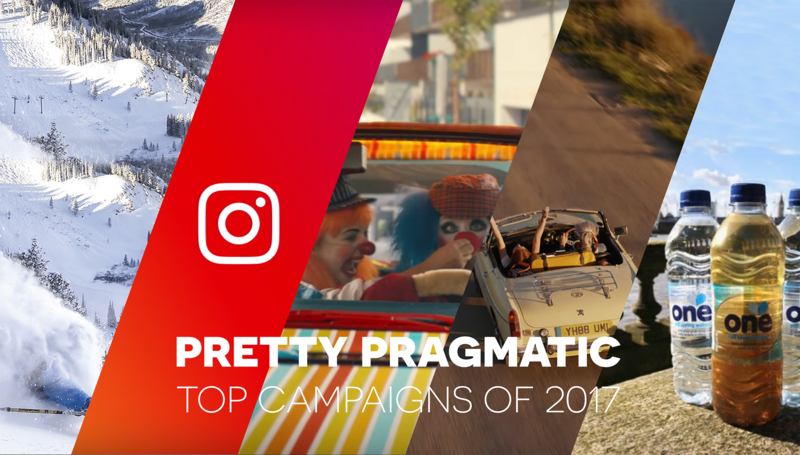 As the year comes to an end, here at Pretty Pragmatic we have had a look back at the campaigns that caught our eye over the past 12 months. We have picked out five that are our personal favourites and matched them up with our planning cards from The Strat Pack to understand what stimulated the thinking behind the ads. 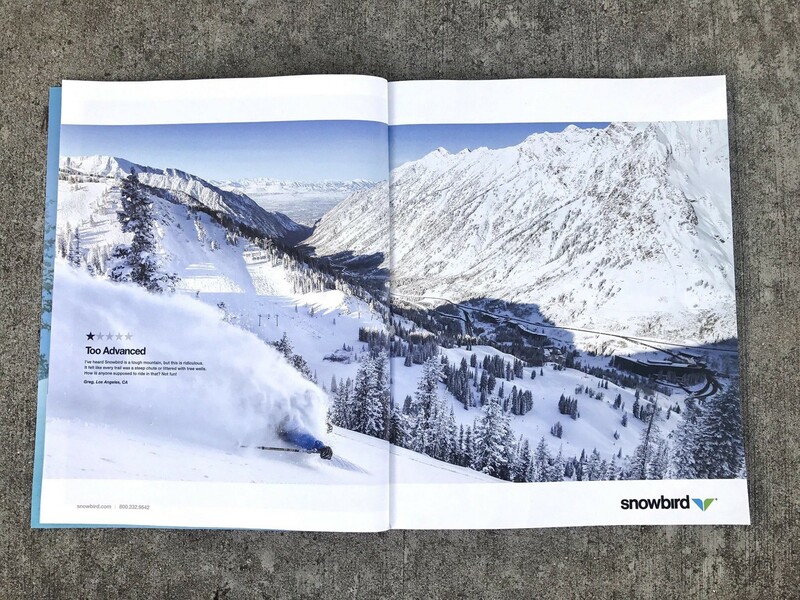 This print advert for the Utah Snowbird Ski Resort took a 1-star review and turned it on its head. The resort is known for its long runs and deep snow, making it unsuitable for inexperienced skiers. The ad ran as a full magazine spread with an image of the complex runs accompanied by a customer’s 1-star review. As the resort and agency realised, the difficult slopes and terrain is what the resort is renowned for. It may be too challenging for beginners, but it’s what makes the core guests – experienced and advanced skiers – return year after year. The ad is simple with a beautiful image of the resort being the focus, with the text for the review standing out well to invite a second glance. Here we’ve matched the card ‘Weakness’. 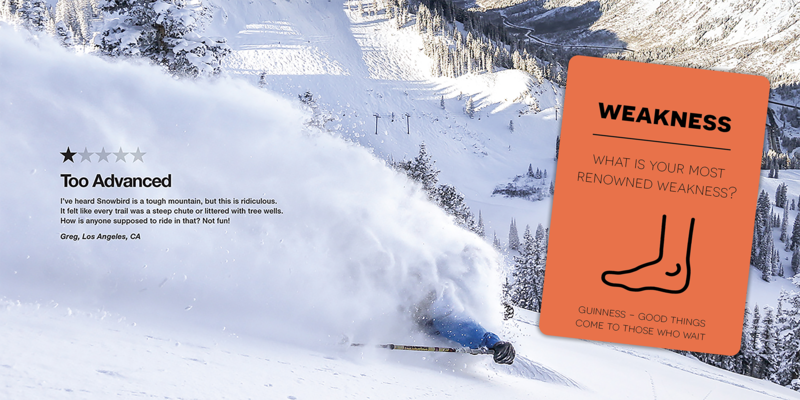 Nobody likes a bad review, but this ad takes the negative and turns it into a positive with their core audience – experienced skiers. To launch their latest Stories feature, Instagram ran the campaign ‘Stories are everywhere’, encouraging users to capture their own moments, no matter how small. 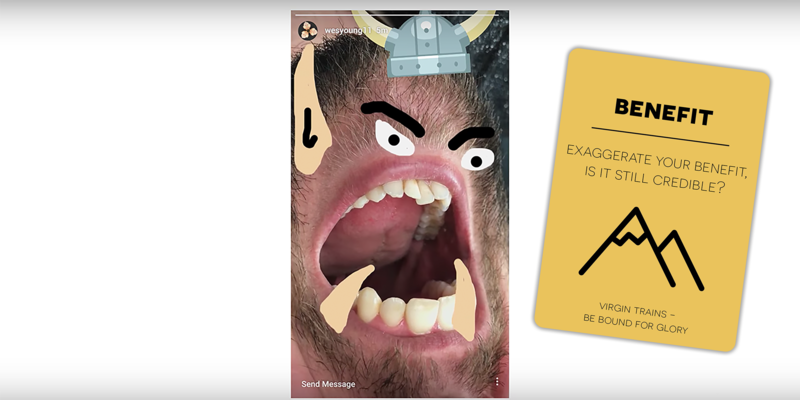 Short clips of epic footage from movies, major events, and news are followed by Instagram filmed stories showing how creative and playful people can be with the help of some stickers, brushes, and live film. One of our favourite parts of the campaign is the fact it was filmed on a smartphone using only the Stories features. No tricks or cheats used. Meaning that everyone can relate to the clips and have a go at being creative themselves. In this instance, we’ve paired this campaign with the ‘Benefit’ card. Instagram does a good job of exaggerating the benefit of their Stories feature – aligning homemade playful videos with clips from Hollywood epics and landmark events. They encourage their audience to express themselves and put their own stamp on everyday videos. It doesn’t need to be a perfect. You don’t need expensive recording equipment or a studio, you can still capture your own moments that can be equally as entertaining. 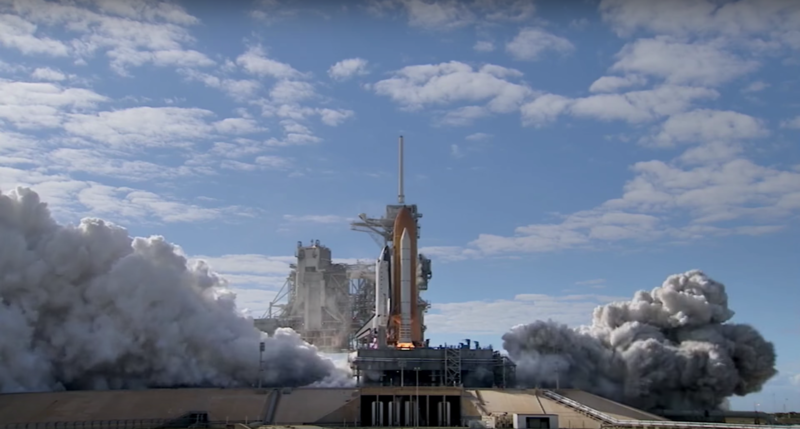 It’s this fact, where the Stories clips provide the most memorable and humorous moments in the ad (along with the self-aware tone), that ensures this campaign is credible. Audi’s recent TV ad campaign, ‘Clowns’, was a creative idea of having clowns represent the common road user. It provides a simple and effective way to highlight the amount of technology in Audi’s vehicles that keeps drivers safe from the other “clowns” on the road. By building on the insight of ‘everyone else is a bad driver, but not me’, Audi’s features are presented less as a crutch to improve your driving (as is the case in many other driver-assist technology campaigns), and more as a way of reducing your risk at the hands of others. The classy ad is completed with a classical song. 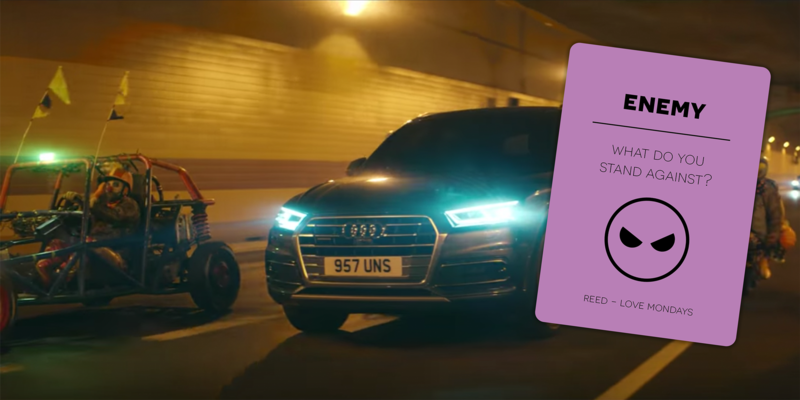 Viewers of the advert were encouraged to Shazam the ad, with Audi donating to the charity Brake in support of Road Safety Week every time someone did so. In this instance, Audi was showing not only what they stand against, but also what all other road users can relate to – the “clowns” and bad drivers on the roads. Audi used this perfectly to portray not only their own technology, but also how safe their cars can make you on the road. Showing how they stand out from the rest, it was clear that Audi made great cars, but were the public aware of how safe and up to date with modern technology they really are? This advert puts the point across effectively with a witty and comical feel. Marks & Spencer’s campaign ‘Spend It Well’ was launched this year and is much more than just a tagline. 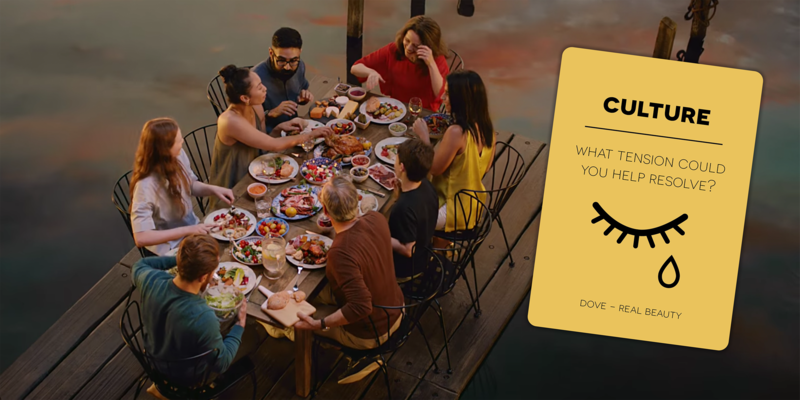 The campaign encourages the audience to more frequently enjoy quality experiences, people, and things that really matter to you.  Marks & Spencer’s carried out a study with Dr Williamson, the Director of Action for Happiness. The study found only 38% of people feel they are currently living life to the full. Marks & Spencer’s used this insight as an opportunity to base their campaign on encouraging customers to better spend their time, money, and experiences. The aspirational ad consists of various clips of people going against what they would normally do and not holding back. A nod to a bigger theme seen during 2017 of female empowerment, but in the case of M&S, delivered in a way that is authentic to both the brand heritage and their products. M&S based their campaign on something very different from what they had done before. Researching into what makes people happy and the cultural tension as to why we aren’t living life the way we want to. Consequently, they’ve created their own ethos within this campaign that almost everyone can relate to in some form. Inspiring people to live every day as it comes whilst fully embracing the luxuries that are available to us. 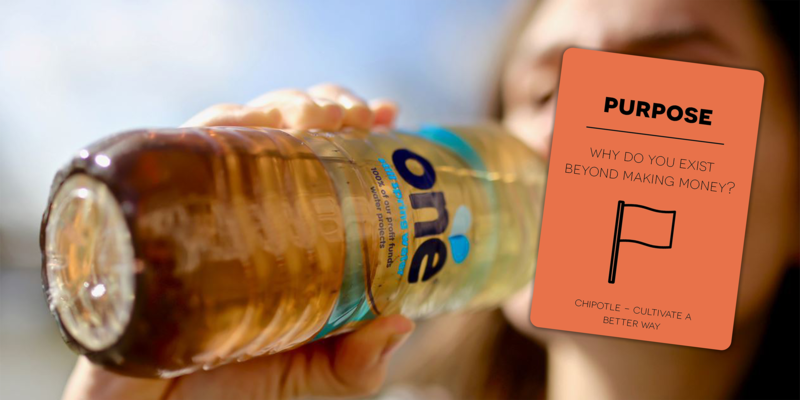 One Water, a water brand in the UK, had the idea of a campaign to coincide with World Water Day to raise awareness of those without access to clean drinking water. 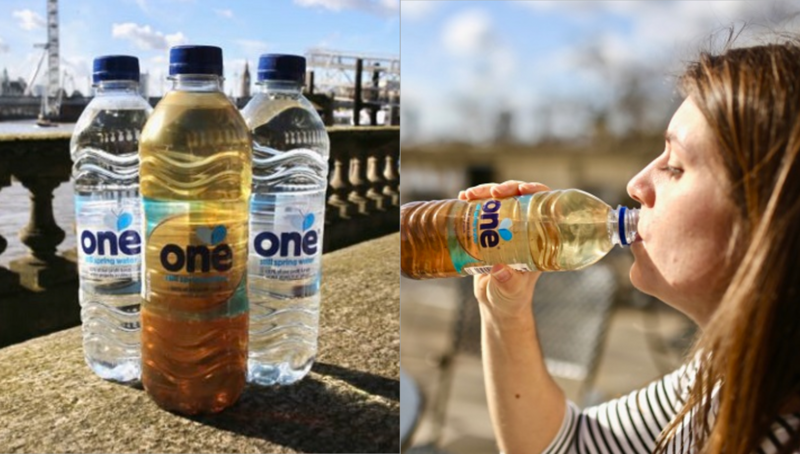 One Water added a sleeve to their bottles, making the contents of the bottle appear dirty. It looked far from appealing, but that is exactly the message they wanted to convey. Highlighting the issue, potentially at the expense of short-term sales, to raise awareness and garner PR. This comes at a time where many of their water brand competitors are driving their own eco-initiative campaigns with recyclable bottles – and provides an apt reminder of One Water’s differentiated founding principle of putting their profits into clean water projects across the globe. As One Water has shown, there clearly isn’t enough awareness around how many people are without clean drinking water in the world. It’s down to their purpose of trying to resolve the water crisis in many areas around the world and bringing that crisis to life for people who are far removed from the issue. This was a very clever way to get people talking and to raise awareness of a problem that is still prevalent on a much larger scale than many people in the UK realise.